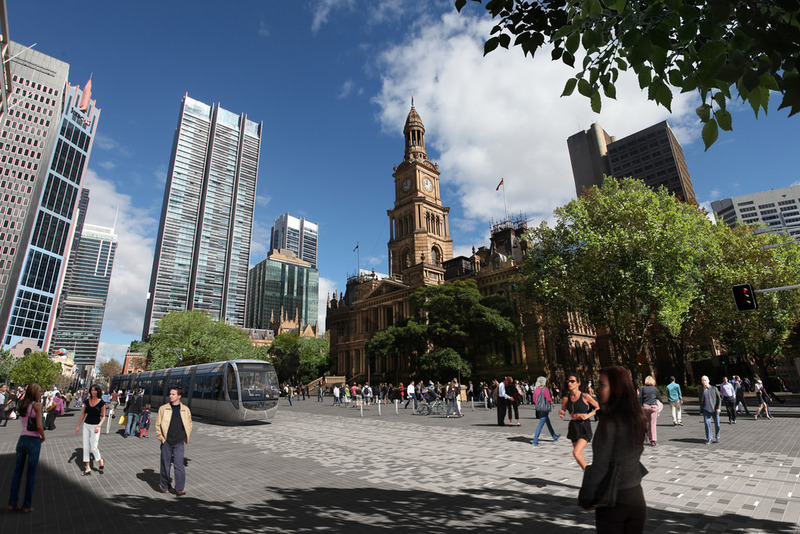 The Urban Design Observatory: What is your role at Sydney City Hall? 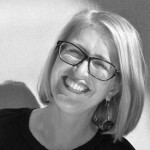 Bridget Smyth: I am the City’s Design Director (I’m also an architect and urban designer). In this role, I am responsible for shaping Sydney’s public domain and built environment, ensuring we deliver on our strategic vision for Sydney, Sustainable Sydney 2030. 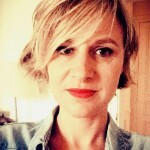 You’ve said in a video that you are « testing new approaches to shaping public space »: what are these approaches? We have plans to revitalise the heart of our city centre, to improve its liveability and ensure people spend time there – not just to shop or work. One of our projects was to revitalise our underperforming city laneways. We developed policy encouraging businesses to activate, we developed a grants program to support business, we developed a public domain improvements strategy and set toward an integrated organisational plan for their revitalisation. Given that this sort of change takes time, we wanted to create some immediate results, so we set up a experimental pilot project. It was called By George and focused on the laneways off our main boulevard George st. We invited artists and architects to develop small scale interventions in the laneways for a period of 6 months. This became a great way of testing ideas for long term revitalisation and also cast a spotlight on our strategy to bring these lanes to life. So over 5 years we had over 50 artists and architects experimenting over 20 laneways in our city. We now also have over 80 small bars in laneways across our city. Which goals do you pursue in « shaping » public spaces, especially in Sydney? We believe in creating connected, accessible for all, public space – with a high level of amenity. 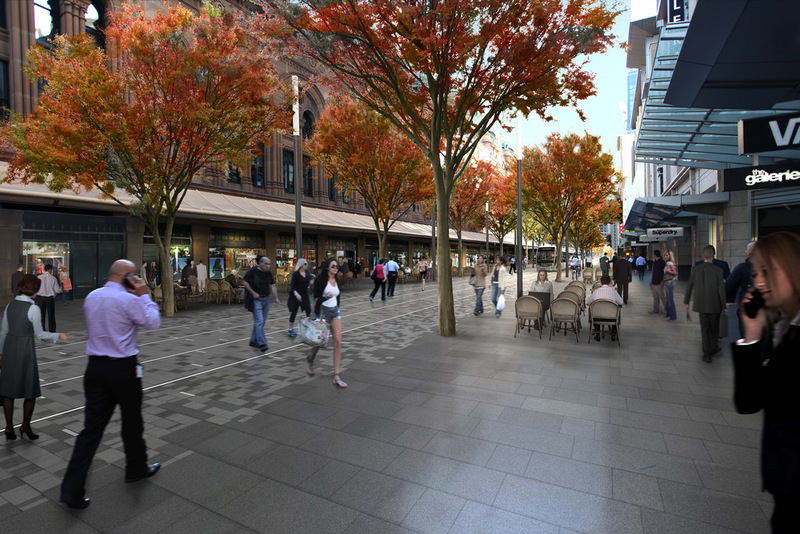 This means shade with a strong sense of landscape, public seating and often the opportunity to tell the story of who we are as Sydneysiders, including a strong commitment to making visible the stories of our first people’s. We work in multidisciplinary teams to transform our city’s public space, and artists are central to this process. What’s your opinion on how European cities tend to organize/shape their publics spaces? In my opinion there is much more formality to the planning and design of public spaces in European cities. As a new nation, we have less traditions and are often freer to design without the layers of the past. However in Europe the built form typically forms a very stimulating edge to public space (for instance in Paris, the Palais Royal/ Place des Vosges). Here, in Australia, we often need to work very hard to ensure our buildings activate and engage with public space. In doing that I believe we often clutter and privatise our public spaces in order to activate them. The French way for me always appears freer of visual clutter, elegant and allowing a sense of openness. At the contrary, do you feel there are also common points with what you’re doing/planning in Sydney? I do feel that we are both striving to ensure our cities and their public spaces are engaging and open to all. We have a strong sustainability and social equity focus to our planning. I feel this is a strong common point. If cities become too polarised, social inequity increased, we will have an unliveable city not a liveable vibrant city. In your opinion, is there a “French touch” regarding public spaces planning? I was struck on a recent visit to Paris (shown around by the Mayor’s wonderful architecture advisor) by the courage of the French people in using public space. To see Place de la République in the evening as the living room where people come together to debate and discuss their future in a public space so close to such tragic events (after the January 7th and November 13th attacks) was very inspiring*. I was inspired to ensure we continue to nuture and create spaces like this for our citizens.